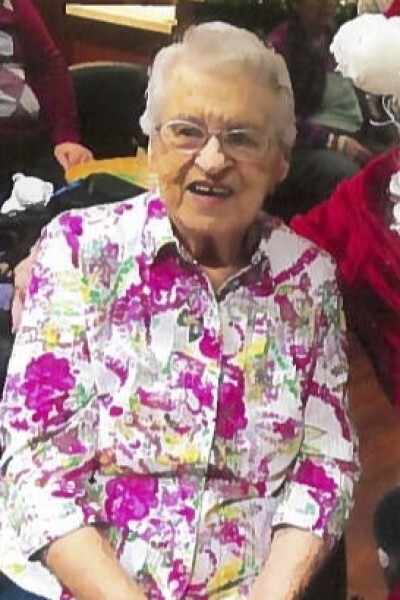 Norma Edna Jamieson – Born October 6, 1922 passed away at Magnolia Gardens on February 5, 2019. She had a great Fort Langley life until age 93. Norma was predeceased by husband Thomas Hamilton in 1993 and son Larry Jamieson in 1998. She is survived by her daughter Lynda and BarryOakes, son Ken and Berna Jamieson, 3 grandsons, 1 granddaughter + 2 great grandchildren. We were blessed with foster son Timothy Engstrom as well. Graveside service will be held at Fort Langley Cemetery on Wednesday February 13, 2019 at 1 pm. Luncheon held at Farewell Tea at Henderson’s Funeral Home, 20786 Fraser Highway, Langley.